Tires are likely the most important piece of safety equipment on your bike and you should never neglect that rubber! Have a tire you need mounted or balanced. Knobtown Cycle is one of the only places in Kansas City that will allow you to bring your tire in. From brands including Bridgestone, Dunlop, Michelin, Metzeler and Pirelli, we can get your wheels covered. 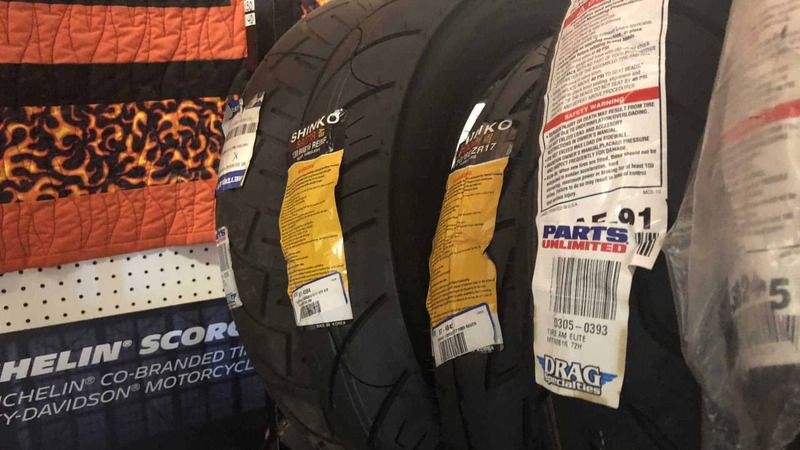 Our selection of motorcycle tires leaves nothing out – cruiser tires, dual sport tires, sport-bike tires, sport touring tires and touring bike tires. We keep many new and used motorcycle tires in stock any many more can be ordered direct from the manufacturer stop by knobtown cycle today and save on shipping when ordering. Our service center has all the equipment necessary to mount and balance your new or used motorcycle tires. Ride on in or just bring the wheel.